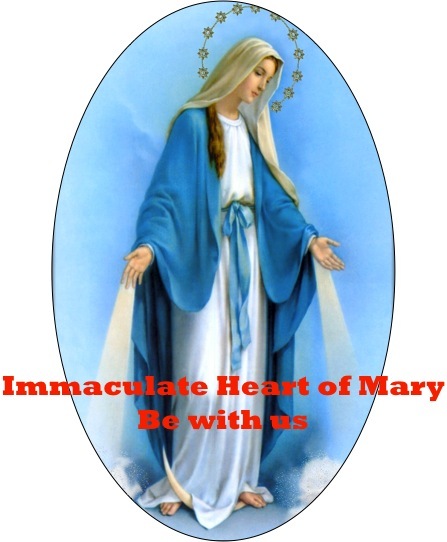 We recognize the Foundress of our Congregation – the URSULINES OF MARY IMMACULATE in the person of Brigida Morello. She was born on 17th June, 1610 in a little town near Rapallo, Italy. 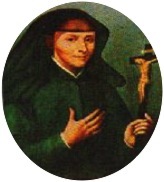 From her very early days little Brigida showed an uncommon bent towards religious and pious practices and devoted herself to them with enthusiasm and without reserve. Meditating on the mystery of Christ’s love, as revealed in His Passion and death, she developed a very special devotion to the Crucified Saviour, who became her model not only for her personal life but also the inspiration for the Congregation she was called to found. Her unmistakable identity as a Foundress can be traced to her deep, singular/unique relationship with God, with a newness of life, and unrepeatable, at times inimitable, religious experience endowed with internal harmony. In fact, the Foundress impresses not so much by works and wonders, but by her similarity and union with Christ, which become a source of attraction for others. The charismatic action of the Holy Spirit brought her to a total surrender to God and enabled her to perceive and relive the gospel message in the light of a special aspect of Christ’s personality. It further gave her the capacity to become conscious of her role in the Church to fit into the modality proper to the Church of her time the external expression of her ardour. Thus, through her own maturing in faith and in communion with God, she was able to discern and to give shape to God’s project. In fact, it is after painful trials of various sorts that she finally founded the Institute in 1649, in Piacenza, Italy, in circumstances so different and with limited possibilities for apostolic involvement, compared to today. The nascent Congregation was known as the House of St.Ursulaand was engaged in the integral formation of girls who were admitted to the Boarding. Women at that time found themselves in a situation all too ‘peculiar’ even within the Church of the day. For the only Form of Religious life for women recognized as such in and by the Church was Cloister. Consequently, the activity or apostolate, in today’s language, was very limited and had to be such as to be confined within the convent walls. Besides, the external structure and style of life in the House of St.Ursula resembled largely that of the Cloister, even though the Foundation, in its original inspiration, had not been conceived of as a Cloister. Instead, the members of the House of St.Ursula had to bide time in hopeful expectation of a tomorrow which would offer freedom and better possibilities for apostolic involvement. With what familiarity and ease we speak of the Apostolate of Education today…!